Update August 19, 2014: Welcome Phoenix Art Museum visitors! Though The 2013 Annual sold out last December, feel free to browse my portfolio or photoblog. Or scroll down to see more about The 2013 Annual. Update December 12, 2013: The 2013 ANNUAL is now sold out. Thanks to all who purchased! 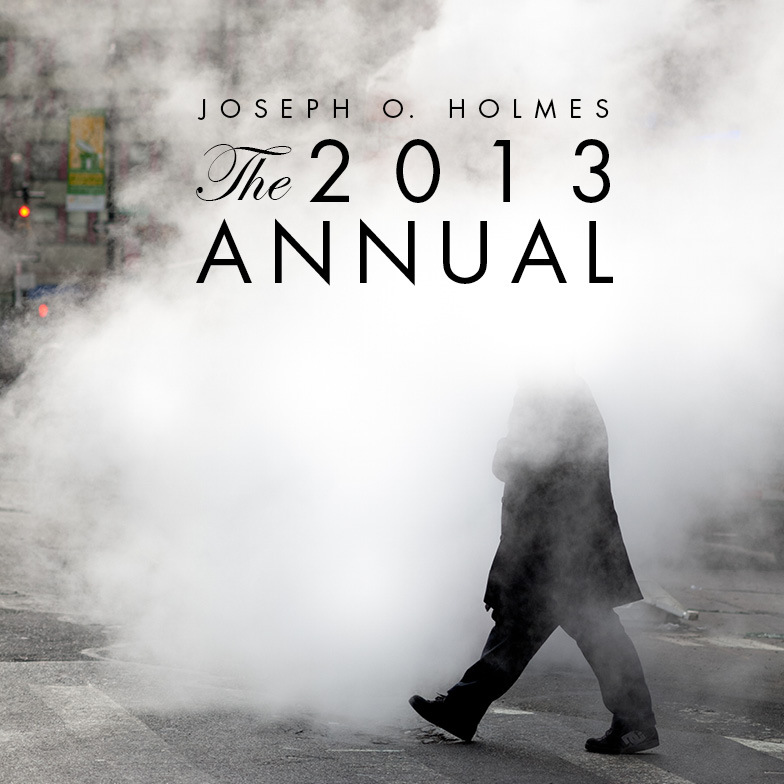 THE 2013 ANNUAL is now available for order in a limited edition of 100 signed and numbered copies at $18 + S&H. And! There’s still time to order for delivery by Christmas. 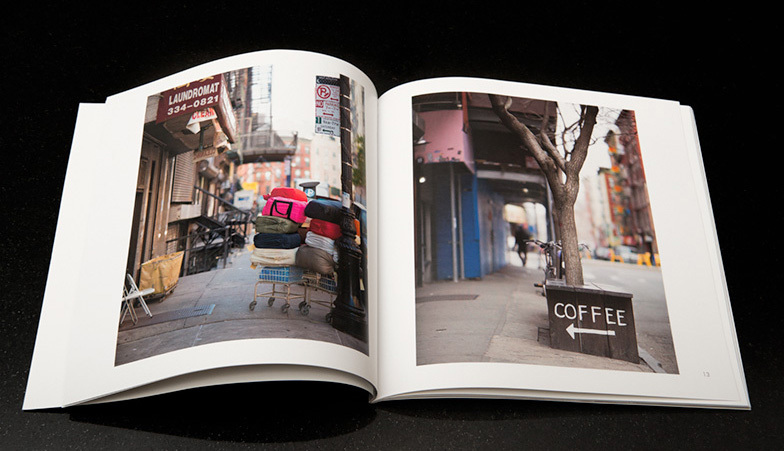 THE BACKSTORY: For years I had wanted to make an inexpensive annual book of my favorite photos. Last year I finally made it happen: THE 2012 ANNUAL featured three projects: The Booth, A Typology of Carting, and Monsters. The edition is now more than 80% sold out. 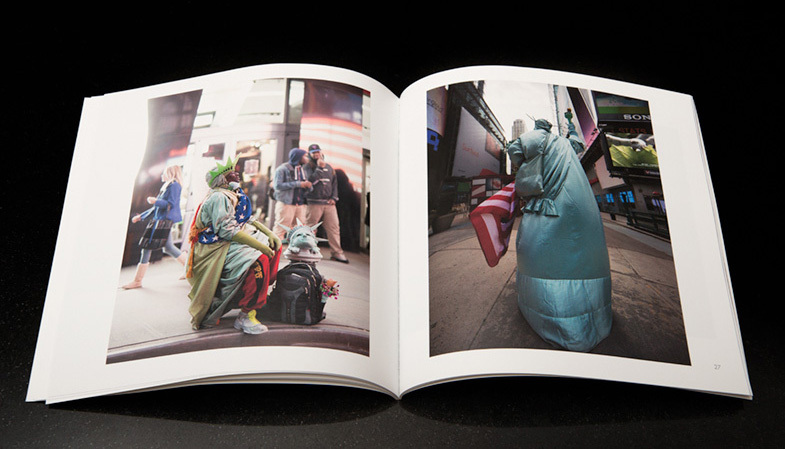 The 48-page book contains color photos from all over New York City (and one from Poughkeepsie). There are smokers, of course, and dogs and (artificial) rain, museums and empty street chairs, cityscapes in day and night, some silliness and some sentimentality. The book represents my best and my most fun work of the year. Each book is hand-signed and numbered and ships US Mail in a protective plastic sleeve and no-bend envelope. THE DETAILS: THE 2013 ANNUAL is now available for order — $18 (plus $4 packaging and shipping to US addresses*) in an edition of only 100 copies, with shipping to begin this weekend. 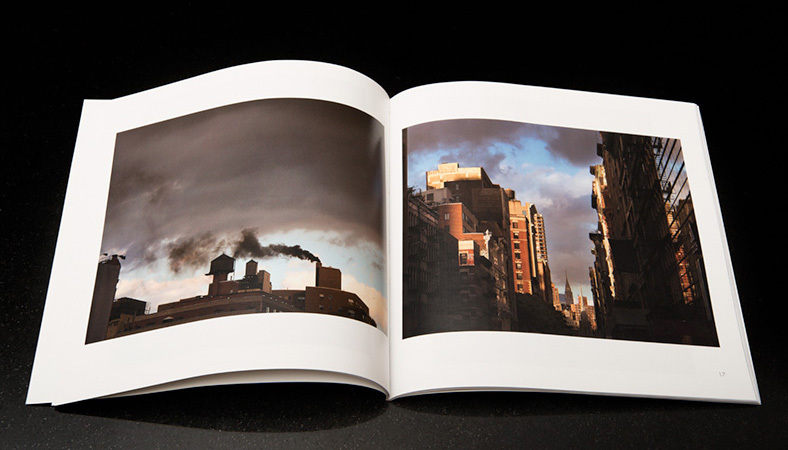 Once the edition of 100 is sold out, the book will never be available again — sorry, them’s the rules. HOW TO ORDER: Email me and let me know how many copies you’d like. I’ll reply with a Paypal invoice. Order before December 13 and I’ll ship in time for Christmas stocking-stuffing (US orders only — foreign orders cannot be planned so precisely). I would like to purchase a copy. My 23 year old granddaughter whose an amatuer photographer is coming to NY in January to take pictures of NY. I think this will give her great inspiration. Thanks Joe. Hi Joe, What a lovely idea to put together some of your favs. I would love to order a copy. I would love a copy too.